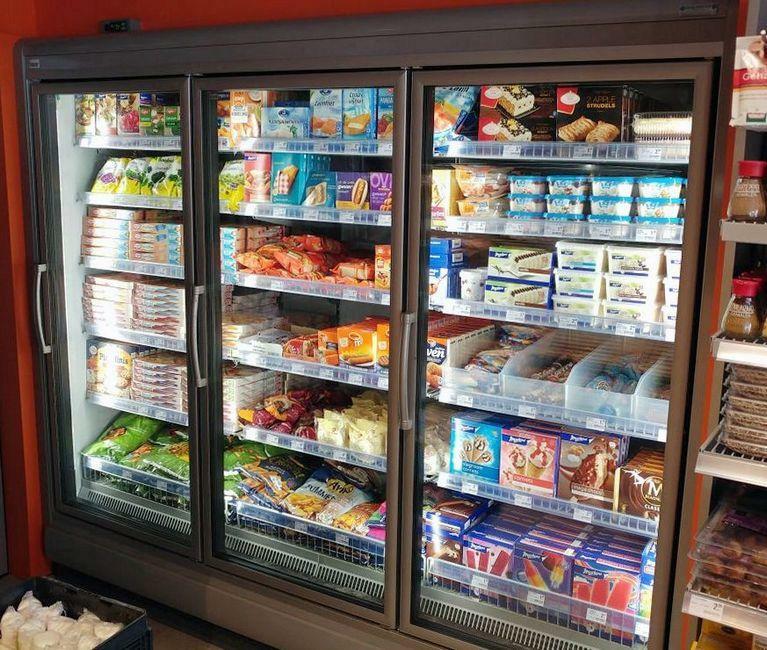 A renewed Hans Meijer Supermarket reopened in Delft city in the Netherlands, has chosen FREOR’s natural refrigerant propane R290 driven display cases in tandem with a glycol loop, employing FREOR Hydroloop Glycol refrigeration technology. 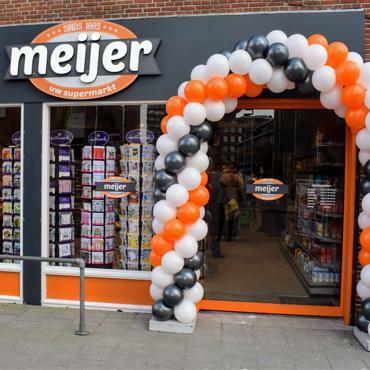 Due to the limited height of the store, Koelservice van Tol – FREOR’s official partner in the Netherlands, had to deal creatively with the layout. frozen food cabinet ERIDA, 2,4 meters. 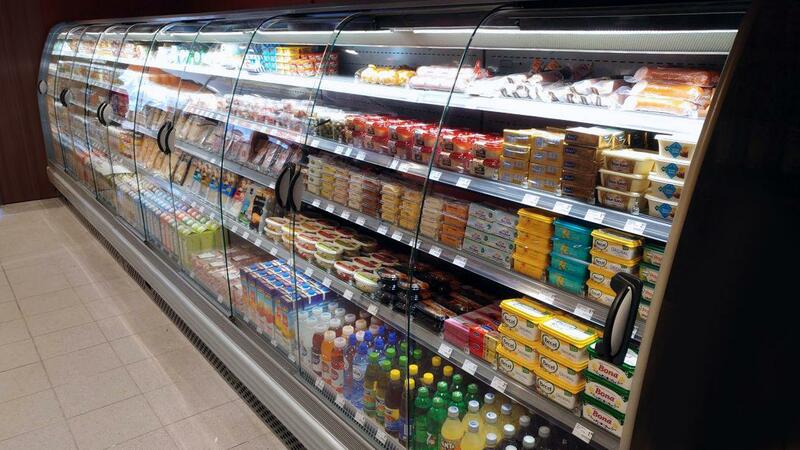 All the store’s refrigerated display cases use R290 as a refrigerant. 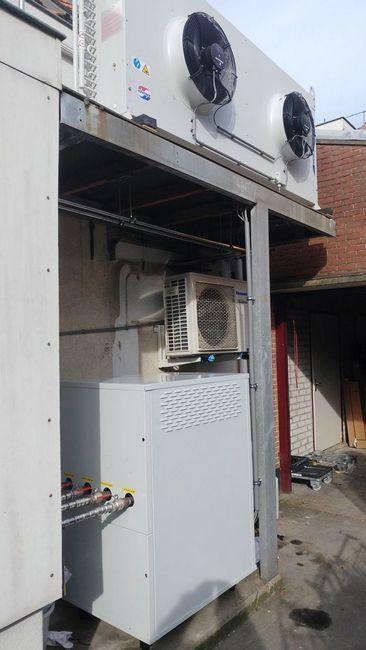 Company’s trusted partner Koelservice van Tol installed FREOR’s Hydroloop Glycol cooling system, connecting both positive and negative cabinets to the same glycol-cooled circuit. The glycol loop allows removing excess condensation heat from the refrigerators to the exterior of a building using simple piping with glycol solution. The pump station, provided by FREOR, ensures the glycol is constantly circulated within the loop. 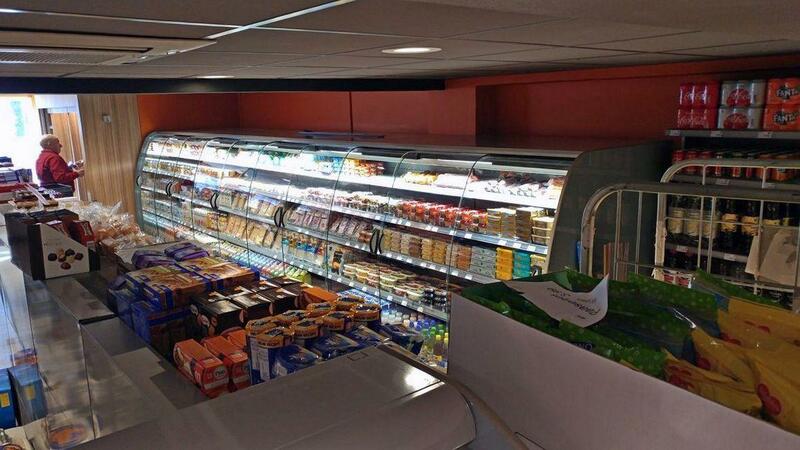 The system is ideal for smaller stores, petrol stations, bakeries, butchers and delicatessen stores as it brings energy savings of up to 25 %, and also allows additional use of the heat for warming up the water or heating up the store in the cold season. Propane R290, used in tandem with a glycol loop, is a green future-proof refrigeration solution, as both coolants are easily obtainable eco-friendly resources. 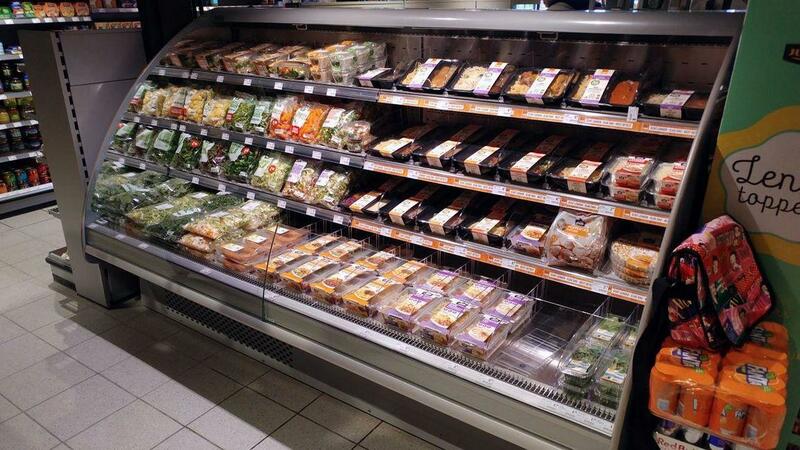 In Hans Meijer Supermarket the residual heat from refrigeration is reused for heating. 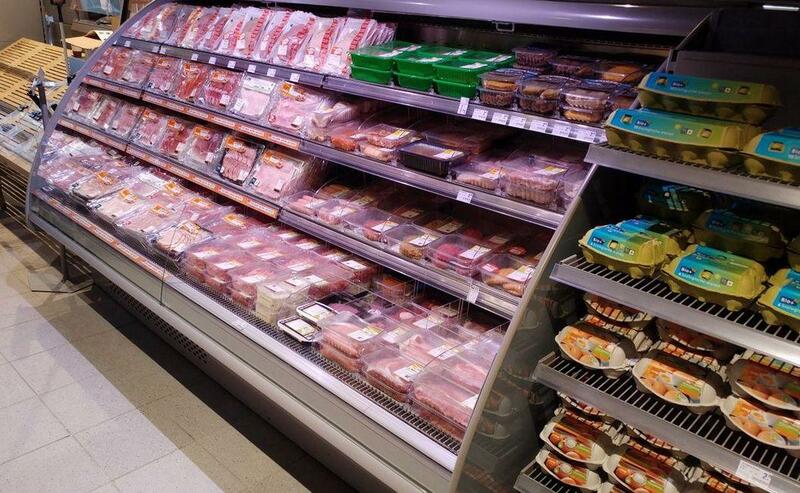 When the required temperature in the store is reached, the heat is discharged outside. To ensure the required temperature for colder periods, a Panasonic air-to-air heat pump has also been installed. “All cooling installations and the Hydroloop system pump station can be monitored and operated remotely via the Carel control system. Faults are reported to us directly via the control and temperatures are automatically registered. The LED lighting is also switched on and off automatically at fixed times.” – Koelservice van Tol company representative has commented on the implemented solutions. This cooling system is expected to provide energy savings of 15% to 25% to Hans Meijer Supermarket if compared to the old remote refrigeration system on the refrigerant R-404A.